Marketing agencies who specialize in inbound marketing, a process which uses content to engage website visitors, collects lead intelligence, nurtures users to leads, and develops lasting business relationships, are able to build an automated, web-based system of lead generation that grows exponentially over time. Inbound marketing agencies specialize in the strategic planning, attention to detail and technical finesse required to create a successful campaign. Utilizing a strategic inbound marketing agency partnership, the marketing experts come alongside you and your team to create a killer campaign, assign deliverables, and give you more time to focus on growing your business. Why Partner with an Inbound Marketing Agency? Inbound marketing opens a whole new source of leads that are not limited by geography or time constraints. However, it takes a lot of strategy, discipline, patience, and good ‘ol-fashioned hard work to make an inbound marketing campaign work well. 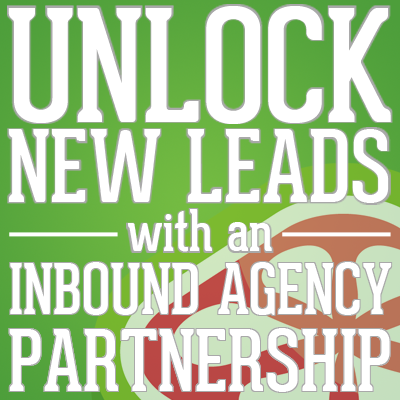 For this reason, it couldn’t be more important to partner with an inbound marketing agency. When teaming up with an inbound marketing agency, your business can take a manageable approach to building a campaign that will help you tap into valuable new streams of Internet-based sales leads and automatically draw them through highly targeted, automated sales funnels. The agency meets regularly with your team to plan the next steps in campaign development, clearly identifying responsibility of deliverables and quality standards. Join Marketing and Sales at the hip. When working with an inbound marketing agency, it’s important to adapt an open and integrated marketing mindset. By bringing marketing and sales closer than they have ever been before, efficiency is maximized and the sales process becomes natural and relational. An agency will help you to develop an automated sales funnel that will enable your website to generate leads, compile data, and easily transfer lead information from the marketing team to sales using your content management system (CMS). It becomes the hub of your entire sales and marketing process, promoting attention-grabbing top-of-the-funnel marketing materials, valuable middle-of-the-funnel content, and bottom-of-the-funnel buying opportunities. In the end, you’ll save loads of time that was formerly spent prospecting, cold calling, and chasing down leads, and replace it with qualified calls and a higher close rate, which is sure to raise your sales team’s morale. Do What You Do Best: Business. While it’s important to keep you and your team involved in your marketing efforts, partnering with an inbound marketing agency allows you to worry less about about the specifics and spend more time doing what you enjoy: building your business. Clear expectations are agreed upon at the beginning of the partnership to clearly identify responsibilities and deliverables. With this in mind, you can focus on pursuing valuable leads, expanding your reach, growing your net new business and innovating in your industry. The agency doesn’t do all of the work; it requires the commitment of both sides doing their part for inbound marketing to truly reach its potential. A good inbound agency will hold you accountable to the goals, responsibilities, and deliverables agreed upon throughout, and will push you to achieve more. These expectations play to the strengths of each party, which provides the most efficient solution to marketing your product or service. Inbound marketing requires a holistic approach to online engagement, and an inbound marketing agency partnership is sure to help you and your team stay on the right track and keep moving forward. Today, with skyrocketing lead generation costs using traditional methods, will you capitalize on the most effective form of marketing to date? Schedule a free 20 minute consultation today.